A study has revealed that the Dingo was not responsible for the mainland extinction of the Tasmanian Tiger (Thylacine) and the Tasmanian Devil as once presumed. Researchers from the University of Adelaide have published a paper in the journal Ecology suggesting a shift in climate and an increase in the number of Indigenous Australians were more likely responsible for the extinction of the thylacine and Tasmanian devil on mainland Australia than the dingo. Both thylacines and devils lived for more than 40,000 years following the arrival of humans in Australia. Their mainland extinction, estimated at 3000 years ago, was 15,000 years after the arrival of the dingo via land bridges from Asia in the last ice age (18,000BP). It has long been suggested the thylacine and devil persisted in Tasmania because it was never colonised by dingoes. Research associate Thomas Prowse said anecdotal evidence suggested the dingo was responsible, along with its reputation as a 'sheep killer'. "However, most people have overlooked that the climate changed rather abruptly about the same time as [thylacines and devils became extinct] and Aboriginal populations were going through a major period of intensification in terms of population growth and technological advances," Thomas says. As part of the study, researchers created a complex series of mathematical models to recreate the interaction between the main drivers of extinction, the long-term response of herbivore prey and the viability of the thylacine and devil populations. The simulations showed that while dingoes had some impact, growth and development in human populations, possibly intensified by climate change, was the most likely extinction driver for devils and tigers. "Our models showed that dingoes could reduce thylacine and devil populations through both competition and direct predation, but there was low probability that they could have been the sole extinction driver," Thomas says. "Our results support the notion that thylacines and devils persisted in Tasmania not because the dingo was absent, but because human density remained low there and Tasmania was less affected by abrupt climate changes." Studies have revealed the dingo was not responsible for the mainland extinction of thylacines and Tasmanian devils. 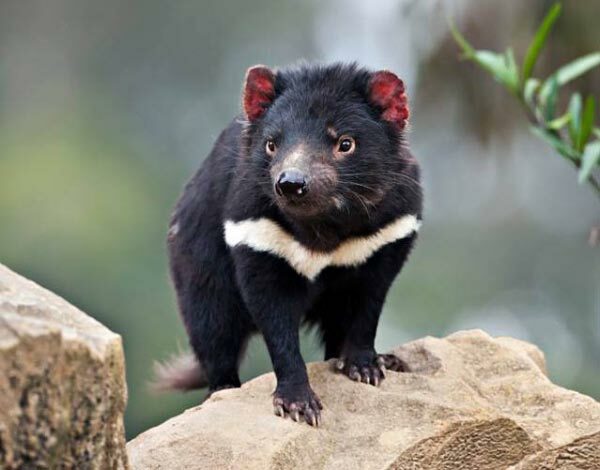 The Tasmanian devil is likely to have coexisted with the dingo for 15,000 years before its extinction on the mainland. 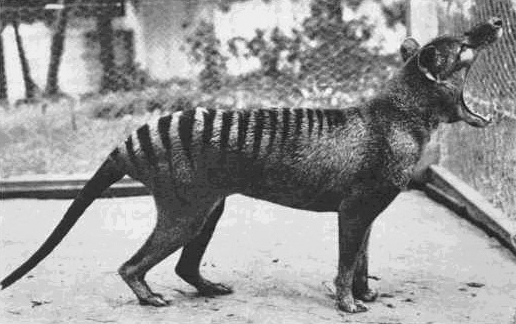 The Thylacine, commonly known as the Tasmanian Tiger, is likely to have become extinct on the mainland due to climate change and hunting by humans.